The term ‘Swahili’ describes the Muslim peoples of the East African coast, speakers of Kiswahili or closely related languages, who have historically filled roles as middlemen and merchants, the cosmopolitan products of a trading economy between Africa and the Indian Ocean world. 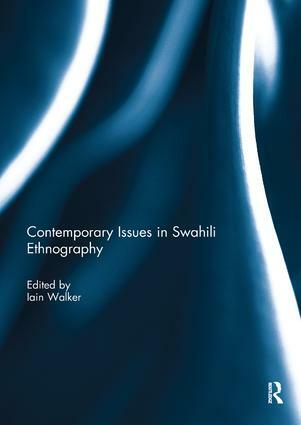 This collection brings together anthropologists working on the greater Swahili world and the issues it confronts, dealing with societies from southern Somalia, northern Mozambique and the Comoro Islands, to Zanzibar and Mafia. The authors discuss a range of contemporary issues such as the shifting roles of Islam on the mainland coast; consumerism, conservation, memory and belonging in Zanzibar; how a Muslim society deals with HIV/AIDS; social change, development and political strategies in the Comoros; and Swahili women in London. The diversity of these themes reflects the diversity of the Swahili world itself: despite a cohesive cultural identity built upon shared practices, religious beliefs and language, the challenges facing Swahili people are multiple and complex. This book comprises articles originally published in the Journal of Eastern African Studies along with some new chapters.